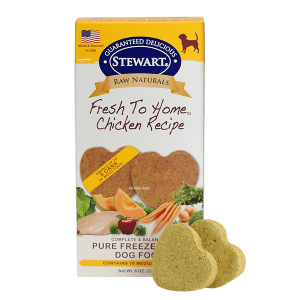 Raw Naturals Fresh to Home Chicken Recipe supports your dog’s skin and coat health and their cardiovascular system. We gently process the recipe’s fresh ingredients and add ground bone to supply calcium. Raw Naturals is freeze dried to be nutritious and delicious to help your dog thrive. Ideal for picky eaters of all ages and stages from puppies to senior dogs. We put in everything dogs need and leave out anything they don’t. 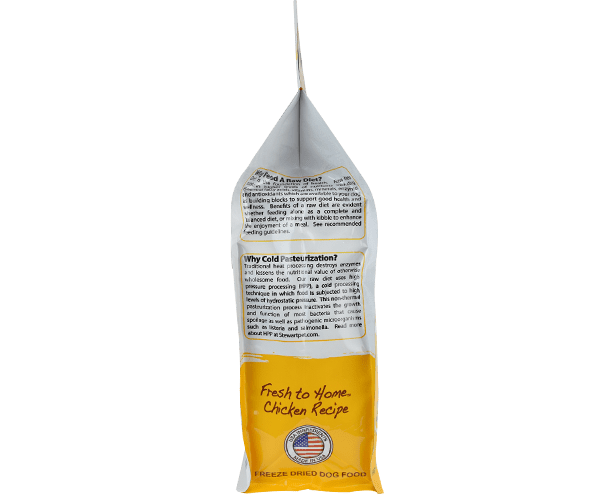 Our Fresh to Home chicken dog food recipe offers the freshness of freeze dried in convenient nuggets. 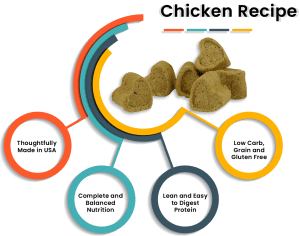 By choosing a chicken dog food, you provide a protein that’s lower in fat and easy to digest. Softer to chew, our Raw Naturals contains no fillers, soy, grain or gluten. 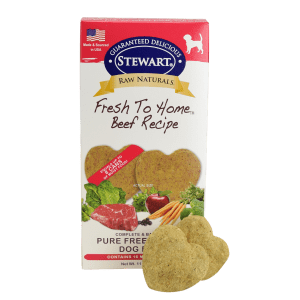 This nutritious recipe is available in all-natural, super-convenient dog food patties, too. 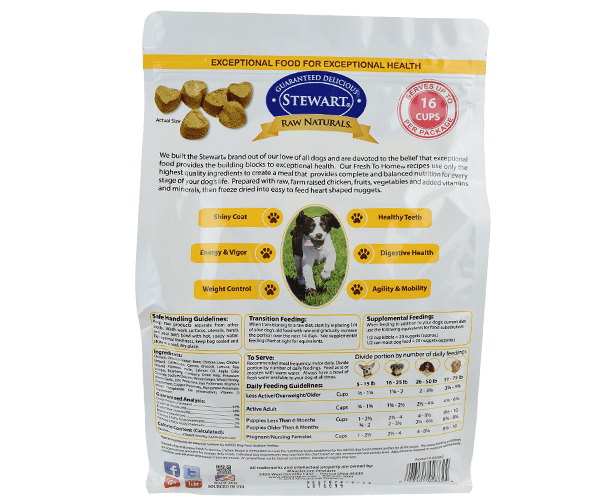 Our limited ingredient, freeze dried dog food is perfect for dogs of all sizes. It’s also ideal for any dogs with food sensitivities, allergies or those on a rotation diet. It’s lightweight, easy to store, quick to serve and convenient for any pet parent. 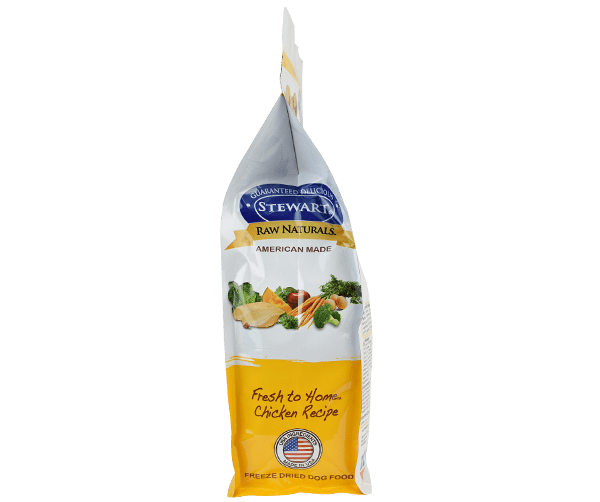 Click here to find Stewart Fresh to Home Chicken Recipe in a store near you!